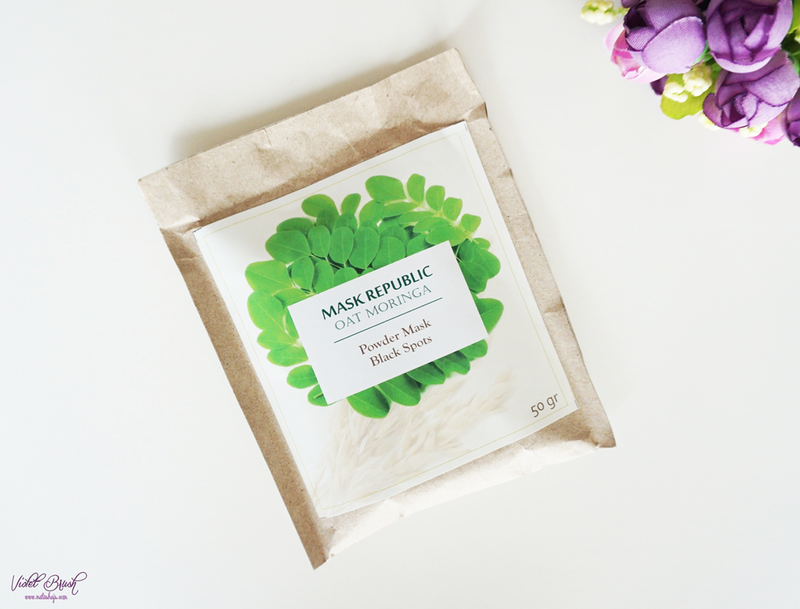 I was very happy when the representative of Mask Republic contacted me to try their mask. Surely, I didn't regret my decision. As to why I chose Moringa, which is formulated for black spots, is because my skin has been getting dull these days and I wanted to brighten my skin up. Even though it's formulated for black spots, Moringa also has this brightening effect on the skin. Oat Moringa Mask helps to fade black spots. 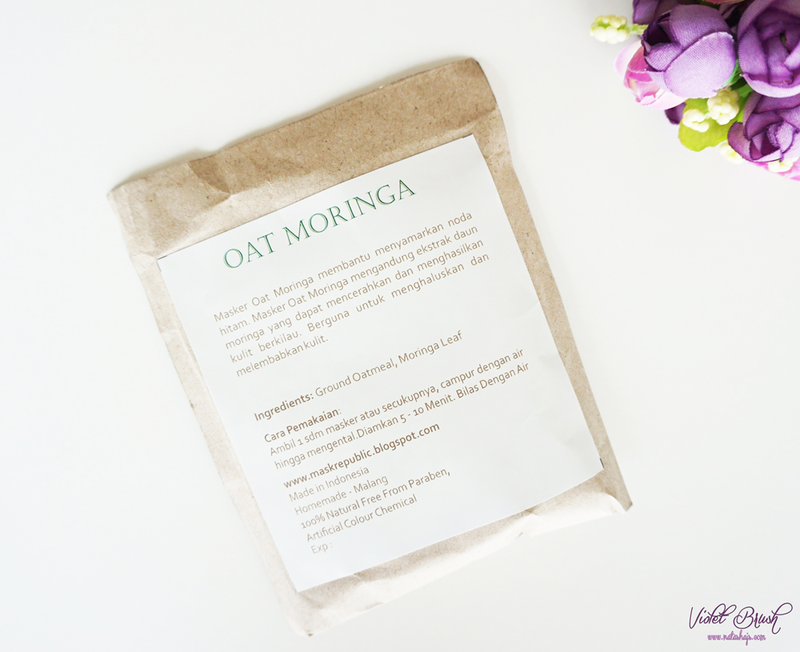 Oat Moringa Mask contains moringa leaf extract which has brightening effect thus resulting in bright skin. Soften and moisturize the skin. 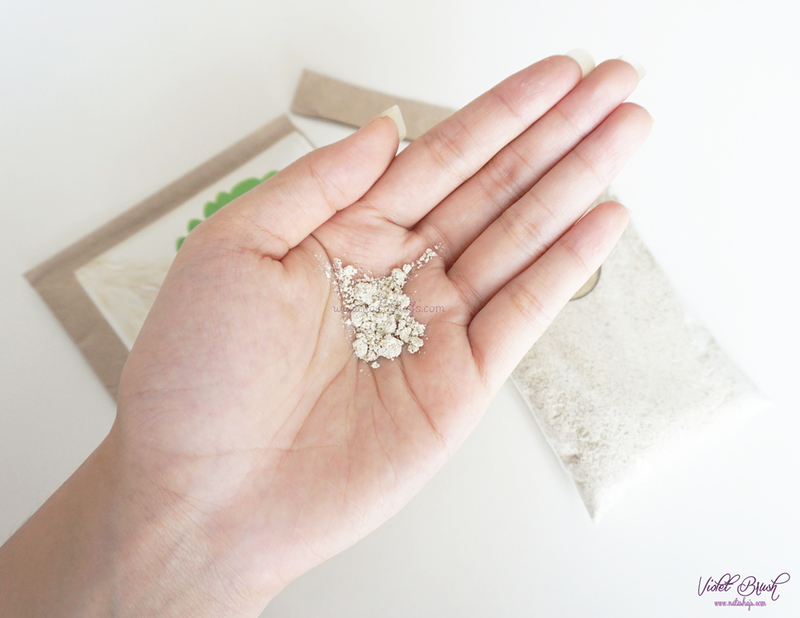 To use: take 1 spoonful or sufficient amount of powder mask and mix with water until the mask is in the form of paste. Apply to your face and let it stay for 5-10 minutes. Cleanse with water. The packaging in simply, simple. 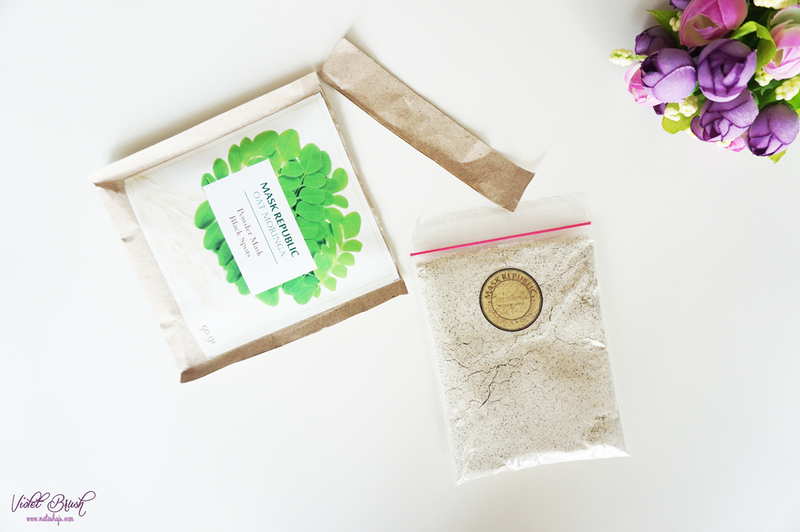 Mask Republic's Oat Moringa Powder Mask is packed in a clipped plastic and a sealed paper bag. I actually contemplated a lot on what to say about the packaging. It's efficient but not efficient at the same time. It's efficient because you don't have to take out the product with spoon or any other tools. You can simply open the clip a little bit and let the product out. However, if you're not careful enough, it's pretty risky that you could spill the product. 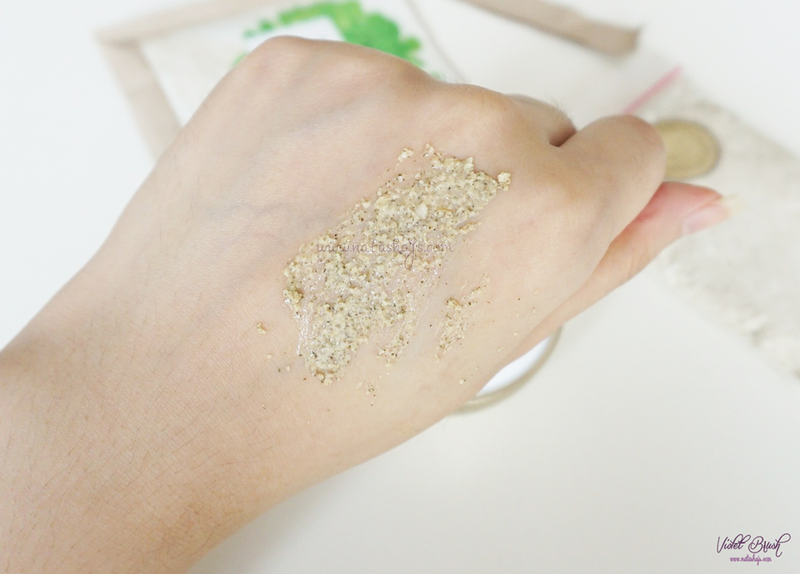 Having oat as its main ingredients, Mask Republic's Oat Moringa Powder Mask does really smells like real oat. I can't even smell any trace of Moringa scent but it's pretty much fine with me. It has this powdery texture like its name with a little hint of roughness, probably from the ground oat. Once it's mixed with water into paste-like, the roughness could be felt more. However don't get me wrong, the roughness doesn't mean it's something bad. It's the opposite, actually. The roughness of the mask could give exfoliating effect to the skin. Although powder mask is originally inefficient, I could say that I quite love this mask. 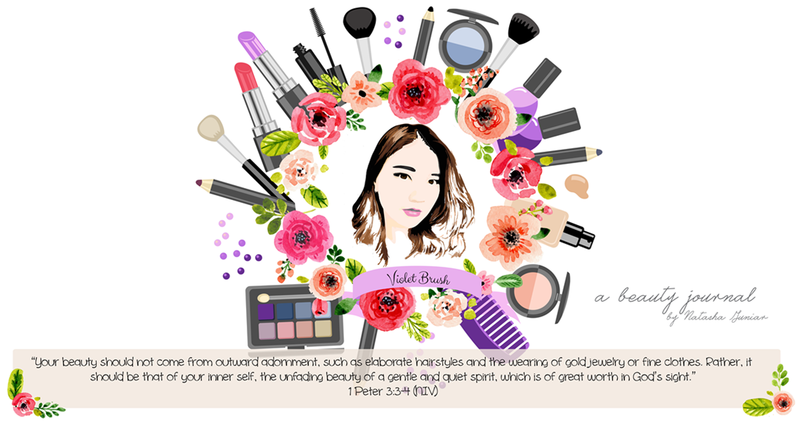 I notice that after the first use, my skin became brighter than before. I love how this mask slightly has exfoliating effect on my skin. Once dried, it felt kinda tight which I think is normal. However, it needs extra effort in cleansing the mask off. A significant change that I could notice after using Mask Republic's Oat Moringa Powder Mask is that my skin got softer and less dark spots because of acne scars on the forehead area. Besides, I've been so busy recently that I lacked of sleep and usually, my skin would get pale but once I used this mask, my skin instantly got brighter. But I would like to try other variants. Maybe I'll try this later..
actually all I do is mix the powder mask with water :b thank you!